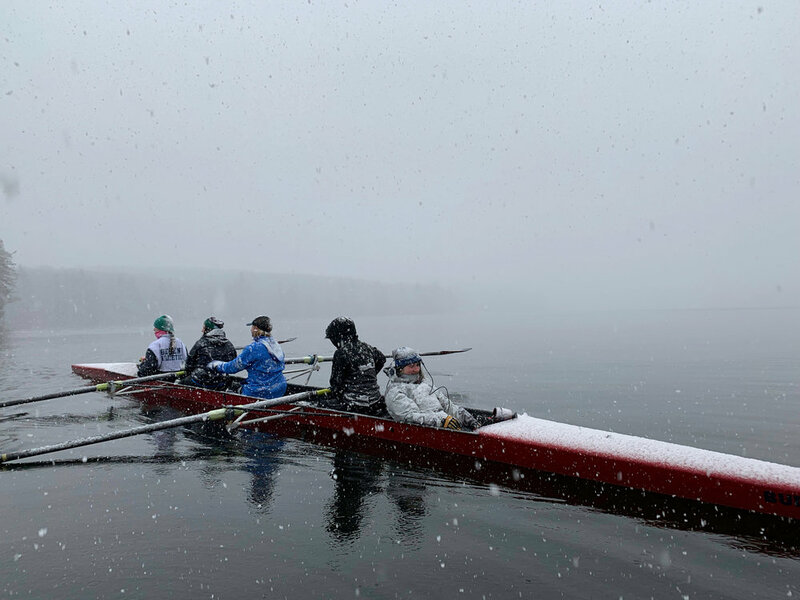 For these opening days of the spring term, rowing practice began in the recital hall and up on the rowing machines in the gym area while we waited for the "ice out" event. 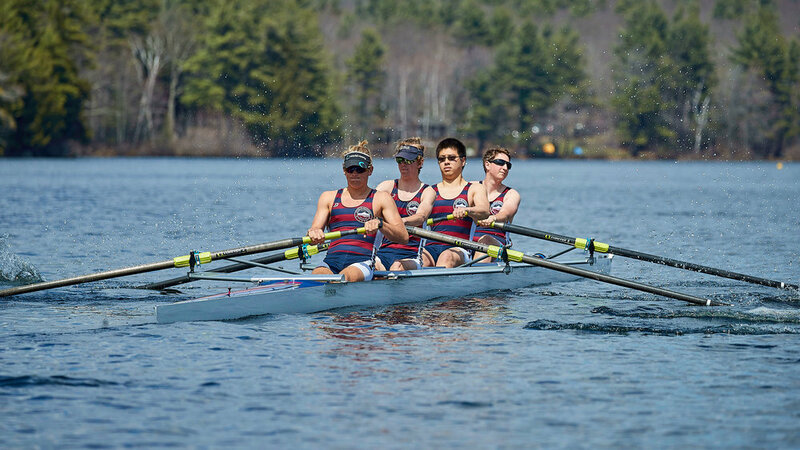 Even with the challenges of supporting a rowing program in New England, the number of rowers in the program is at an all-time high. Currently, there are 24 boys and 22 girls, a nice mix of veteran and novice. There are seniors as well as freshmen out to try rowing for the first time. 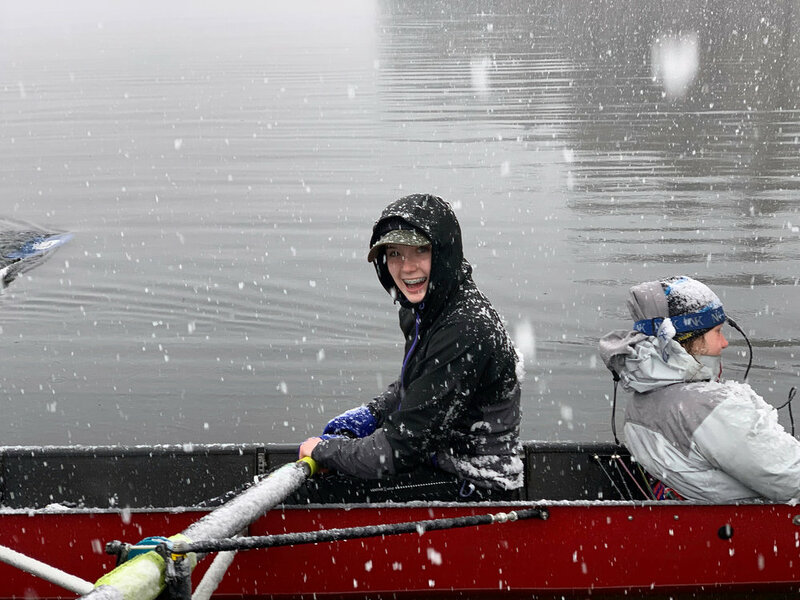 Somehow having to start the season indoors, and then brave tempestuous spring conditions once on the water, has not scared away Dublin students from coming out for crew. 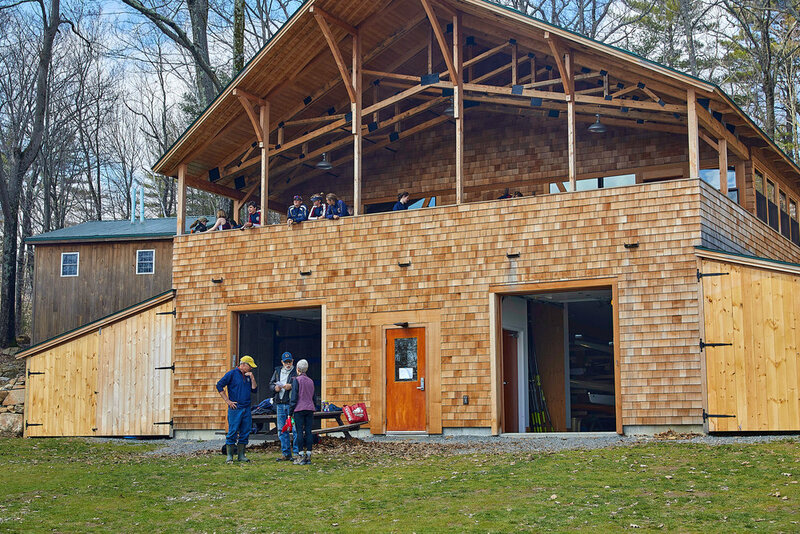 There are some possible reasons for the attraction to rowing among young people, and they would include the chance (eventually) to be outside, on the water, in the shadow of Mount Monadnock, enjoying shared suffering with friends. The combination of the beauty of nature with the intense team component of rowing was certainly part of what drew me to the sport when I began in college. Athletes are literally in the same boat, tied to their shoes, and pushed off from shore together. You have to find a way to make the situation work! Another reason for the attraction of rowing is that no one has done it before. By that, I mean that there are no youth under-6 rowing leagues, and so if you come to Dublin, you are one of many who is new to the sport. It's ok to be a beginner in rowing, and you are not behind others. Rowing rewards focus, attention to detail, hard work, strength, and flexibility. These are all things that any person can work on, improve, and then find success in rowing. The idea that a person has agency over their success is a lesson that some people first learn in sport, and then see that the same idea holds true in academics, social relationships, community living, and their job. 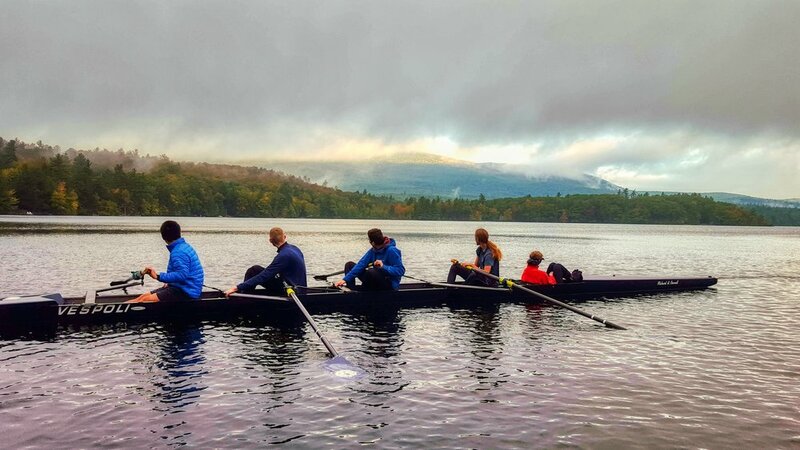 Rowing as a sport is not unique in teaching this lesson, and it is why athletics and academics are both so important as part of a Dublin education. At their best, these elements of school life are mutually supportive. The workout today will be core strength training and 1000 meter intervals on the ergometer. With so many rowers, we divide into two groups and spend half of each practice at these two tasks. We hope to be on the water, skimming across Thorndike, very soon! PS - Please come visit and watch a practice someday!